It's that time of year again! The 31 Days of Oscar Blogathon hosted by Kellee of Outspoken and Freckled, Paula of Paula's Cinema Club and Aurora of Once Upon a Screen to coincide with TCM's popular annual programming schedule. Paul Lukas entered my life via television sometime in the 60s. It was the first of many times I boarded that train in that funny little country in The Lady Vanishes. There was something about the suave and duplicitous Dr. Hartz. His delicious accent? He was a most intriguing fellow. The next time I came across Paul Lukas, the character was not as confident as the 1930s secret agent. He was playing a character from the most beloved novel of my childhood, Jo March's Professor Bhaer in Little Women. So smart, so sweet, so shy - and he sings! The more movies I watched, the more I ran across the actor from Budapest. I don't know if thoughts of a different career ever entered young Pal Lukacs' head, but once he determined on an acting career he prepared by attending a School of Dramatic Arts and joining a theatre company where he gained experience and acclaim as a performer of comedy. In 1918 he made the first of 13 movies in Hungary. And in 1928 Paul Lukas appeared in eight Hollywood features alongside the likes of Ronald Colman, Bebe Daniels, Pola Negri, Gary Cooper and Nancy Carroll. These were all Paramount pictures and Lukas would work steadily at that studio for the next four years, steadily rising from bit roles and supporting player to lead. One of his films was 1930s The Benson Murder Case starring William Powell as Philo Vance. Lukas would play Vance in 1935s The Casino Murder Case for MGM. Lukas then became quite the studio-hopper appearing as Athos in The Three Musketeers for RKO, Iselin in Dodsworth for Samuel Goldwyn, and with Janet Gaynor in Ladies in Love for Twentieth Century Fox. Later in the decade the UK productions Dangerous Secrets, Mutiny on the Elsinore, Dinner at the Ritz and The Lady Vanishes used Mr. Lukas' talents. In 1937-1938 Paul Lukas played Dr. Rank in a Broadway production of A Doll's House starring Ruth Gordon. Sam Jaffe and Dennis King were also in the cast. Ibsen's play was adapted by Thornton Wilder and the show was directed by Jed Harris. Paul Lukas' 1940s film career is all over the place with adventure, drama, horror and comedy including Anatole Litvak's docu-drama Confessions of a Nazi Spy, Captain Fury with Brian Aherne, Frank Borzage's intriguing Strange Cargo, the mad doctor spectacular The Monster and the Girl and the Bob Hope-George Marshall comedy classic The Ghost Breakers. Lillian Hellman wrote her play Watch on the Rhine in 1940. It is a drama about the evils of and the fight against Fascism. Hellman brought into focus the danger of Germany's aggression, physically and morally, through her characters the Muller family and their American relations. Opening on Broadway at the Martin Beck Theatre on April 1, 1941 the play starred Paul Lukas as Kurt Muller, a German citizen who fought in the Underground against Hitlerism. Along with his American born wife Sara, played by Mady Christians, and their three children played by Ann Blyth, Peter Fernandez and Eric Roberts, they have arrived at the home of Sara's family near Washington, DC. Here they will confront their safe and somewhat smug relations with the new reality of life in Europe and the far-reaching consequences of isolationism. The play was well reviewed at the time and ran for 378 performances and won the New York Drama Critics' Circle Award. The New York Times theatre critic Brooks Atkinson's review shows the play's impact: "Miss Hellman's contrasting of guileless and good-humoured life in America with the bitterness and corruption of life in modern Europe is keenly perceptive. It has a special meaning for us today. But, since Miss Hellman has communicated her thoughts dramatically in terms of articulate human beings, Watch on the Rhine ought to be full of meaning a quarter of a century from now when people are beginning to wonder what life was like in America when the Nazi evil began to creep across the sea." Warner Brothers purchased the screen rights to the play and assigned the project to producer Hal Wallis (The Life of Emile Zola, Casablanca, The Rose Tattoo, True Grit) with the play being adapted by Dashiell Hammett. He originally wanted Charles Boyer to take the role of Kurt Muller, but Boyer declined as he rightfully thought his French accent would be all wrong for the role. Fortunately, the right man for the job was available in Paul Lukas. Also recreating their Broadway turns were Lucile Watson as the mother-in-law Fanny Farrelly, George Colouris as Teck de Brancovis, Frank Wilson as Joseph the butler, and Eric Roberts as Bodo, the Muller's youngest son. Bette Davis, having recently completed Now, Voyager, took the supporting role of Sara Muller as she believed fervently in the message of the film. Against Ms. Davis' wishes, the studio gave her top billing to ensure a measure of box office success. Paul Lukas' performance of Kurt is masterfully subtle. He brilliantly brought his knowledge of the character from his stage performances to the intimate forum of the cinema. Kurt is many things - a loving husband, thoughtful parent, committed yet practical idealist; a fighter and a humanist. Thrown into harrowing and dangerous circumstances, Kurt is truly brave in the face of loss. 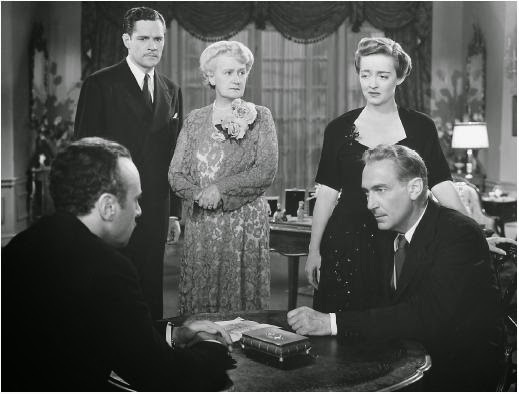 In every scene and every line there is not a false note to be found and Paul Lukas' work was deservedly awarded the New York Film Critics' Circle Award, the first Golden Globe for Best Actor and the Academy Award. The Oscars began as a glittery toy from studio executives to keep union-minded employees in line in the 1920s. It quickly became a standard of excellence in an industry that encompasses art and technology. For some, a goal; for others, a curse. Today the Oscars are often looked upon as an audience sport which is rarely satisfies its followers. "The Academy", which apparently votes as one giant entity, never gets it right. So-and-so "stole" my-guy's Oscar! Whether the statue was bestowed last year, 25 or 50 or 80 years ago, resentment reaches a fever pitch over dinner table, water cooler or internet forum. I generally try to take a detached view toward the awards. After all, it is their party, not mine. However, every once in a while I'll run across an Oscar opinion which gets my Irish up and I can't keep silent. Examples: I fall on the side of the Academy with the Best Picture win for How Green Was My Valley. I admire Citizen Kane as much as the next guy, but How Green Was My Valley ain't exactly chopped liver. I shake my head at the Academy for giving the Best Picture trophy to You Can't Take It With You. The Adventures of Robin Hood, anyone? Paul Lukas' win for Watch on the Rhine is one I heartily applaud and this has occasionally led to conflict with some of Humphrey Bogart's more committed fans. Truly, Bogie's Rick Blaine is a performance for the ages and one of the reasons Casablanca is a bona fide classic, but you can't win them all and acknowledgement of Paul Lukas' art does credit to the Academy. 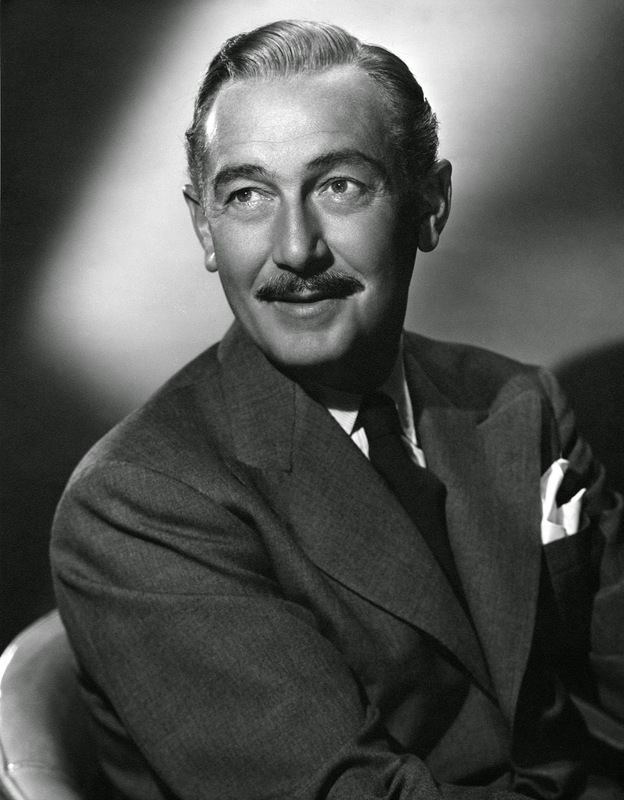 After his Oscar win movie fans can enjoy Paul Lukas in a number of diverse films such as the dandy film-noir Deadline at Dawn, the location filmed thriller Berlin Express or as the wandering holy man in Kim with Dean Stockwell and Errol Flynn, and Professor Aronnax in Disney's 20,000 Leagues Under the Sea. 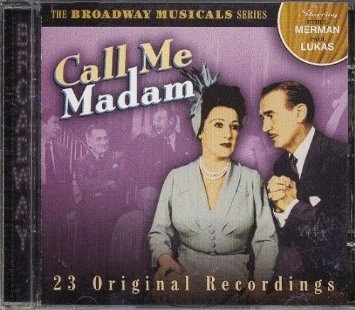 In 1950 Paul Lukas returned to Broadway, this time to the Imperial Theatre where he co-starred as Cosmo Constantine opposite Ethel Merman for 644 performances of Irving Berlin's Call Me Madam. Paul Lukas guested on television anthology series throughout the 1950s and on the programs, The F.B.I., The Man from U.N.C.L.E., The Name of the Game and It Takes a Thief in the 60s. His movies from this era include the epic 55 Days in Peking, Richard Brooks' production of Joseph Conrad's Lord Jim and the Elvis Presley flick Fun in Acapulco. Married three times and widowed once, Paul Lukas passed from heart failure at the age of 80 apparently scouting Morocco for a retirement home. By the way, I'm perfectly willing to go toe-to-toe with the folks who say Bogie robbed Brando in 1952. Mr. Bogart's Charlie Allnut is a perfect performance that I place on a par with Paul Lukas' Kurt Muller. I first became acquainted with Mr. Lukas as a young boy, who devoured anything and everything classic horror. I saw THE GHOST BREAKERS and THE MONSTER AND THE GIRL relatively close to each other, and liked his bearing and speaking voice. I asked my movie buff dad about him, thinking he was another Bela Lugosi who made a lot of horror movies. My dad said no, he was a very respected actor who made the occasional horror movie. I was disappointed, but as I grew older, I appreciated him more and more. CASABLANCA is one of my all time favorites, but I have no problem with Lukas winning for WATCH ON THE RHINE. A very subtle performance that reveals its greatness slowly as the movie goes on. I enjoyed your post on him very much. I feel your pain and disappointment at not having discovered another true Horror Icon, but we're certainly lucky Paul Lukas is there for us after all. Bette in a supporting role during the peak of her fame? Interesting. Remind me who Lukas was in THE GHOST BREAKERS? I saw that recently. 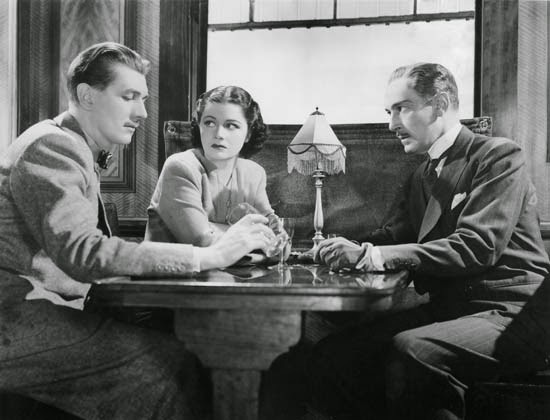 In "The Ghost Breakers" Paul Lukas was Paulette Goddard's lawyer, the fellow who kept trying to get her to sell the plantation. CW, a fine tribute to the versatile Paul Lukas. I enjoy his later supporting performances even more than his leading man roles. He was especially good in KIM (which deserves more acclaim) and BERLIN EXPRESS. Thanks. I agree that Paul Lukas slipped into his character actor era with ease and had some very interesting roles. He was a lovely surprise in "Kim". What a great post! I don't know why, exactly, but Lukas has always flown under my classic film radar. Perhaps because he was a genuine actor amidst a sea of stars. You make me want to check him out and really pay attention. Last summer I "discovered" Claude Rains thanks to TCM, and now your post gives me the impetus to do the same with Lukas. 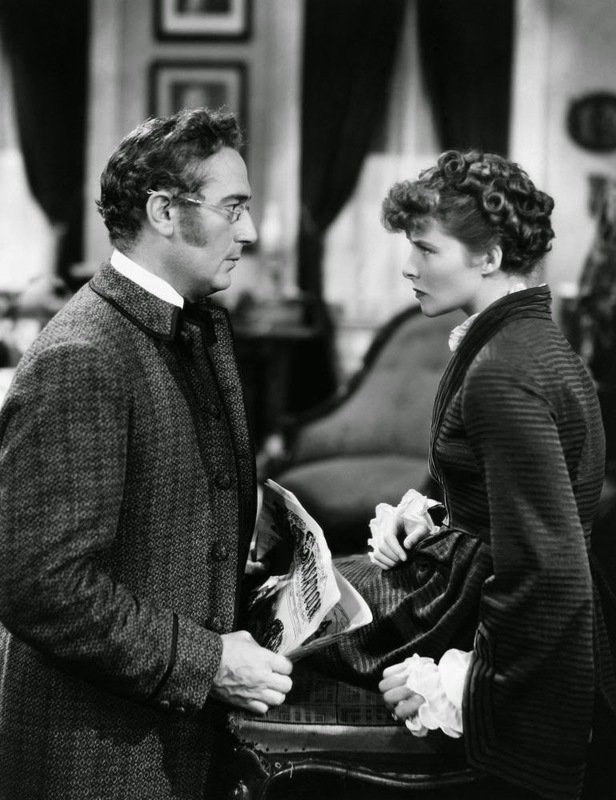 It makes me very happy that Paul Lukas is joining Claude Rains on your discovery list. I think one of the reasons we will never get bored with our classic movies is that there is so much to appreciate or appreciate anew. Have fun. Having watched this film recently, I agree that Paul Lukas' performance is brilliant. Of course the time helped him as well, with all the patriotism and anit-Nazi feelings, but I can't deny that he himself had a great merit. The world needed then and needs now more men like Kurt Muller. I love Paul Lukas. Though I'm second to none in my admiration of Bogart and my love of CASABLANCA, I agree with you, Lukas was most deserving of the award. Great post. Lukas is one of those guys, isn't he? His name shows up in the credits followed by internal applause. I always enjoy this actor - and for some reason am always surprised that I find him so appealing. Excellent post, CW - you always come up with a winner. I know what you mean. It was years before I realized how much fondness I had for Lukas. He grew on me! Yep. Every once in a while they get it right. It makes up for the other times! What a career! I would give anything to be able to go back in time to see him opposite Ruth Gordon in "A Doll's House" on stage. And THANK GOD Boyer turned down RHINE. 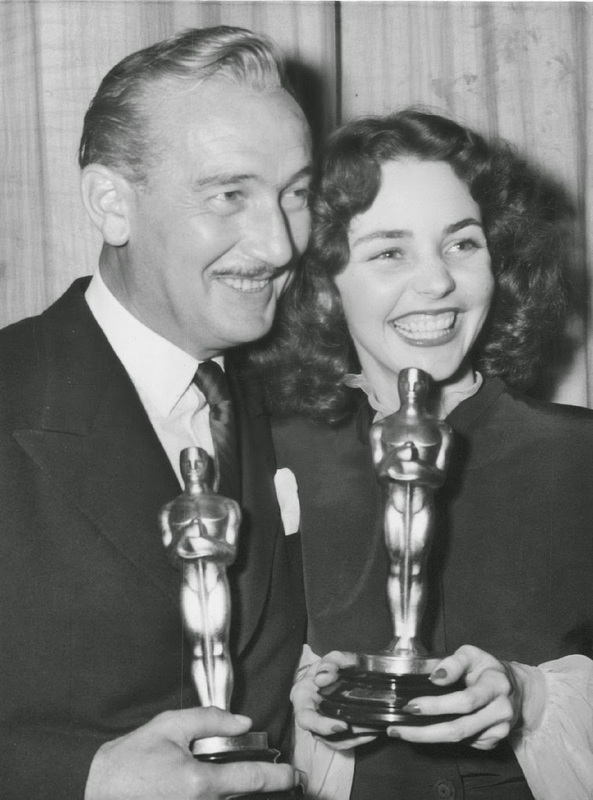 I agree with you - and I too adore CASABLANCA - but the Academy made the correct choice in Lukas that year. Terrific write-up as usual, Paddy. And as I think you know I too applaud the Academy for HOW GREEN WAS MY VALLEY! The outrage over KANE'S loss is as if VALLEY was chopped liver - it is the superior film. To me, anyway. All the love for Paul Lukas makes me smile. Especially the appreciation for his well-deserved Oscar win.